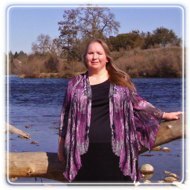 Sacramento Therapist: Heather Blessing - Therapist 95864. Session Fees: I have a sliding scale and have many payment options. Sliding scale from $70 to $150 per session. I take Cash, Check, Credit or Paypal. I currently take Optum & HMC insurances. I also use brainspotting as a way to help my clients work through trauma and other hard issues. I modify my therapeutic techniques to what works best for you.